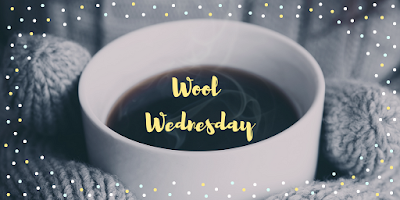 For Wool Wednesday I've got a few recently-finished objects to share. 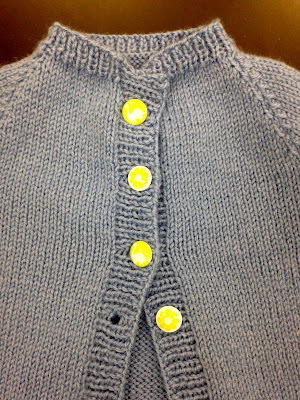 #1: For a friend's baby shower, I made the Puddle Jumping Cardigan Mini from Amy Herzog's You Can Knit That. I opted not to do stripes, because I needed to knit it as quickly as possible, and I only had one color of yarn on hand. The pictures are not very true to color. While blue is probably an unusual choice for a little girl, it's more of a purple-y periwinkle kind of blue than what might be considered a traditionally "masculine" blue. 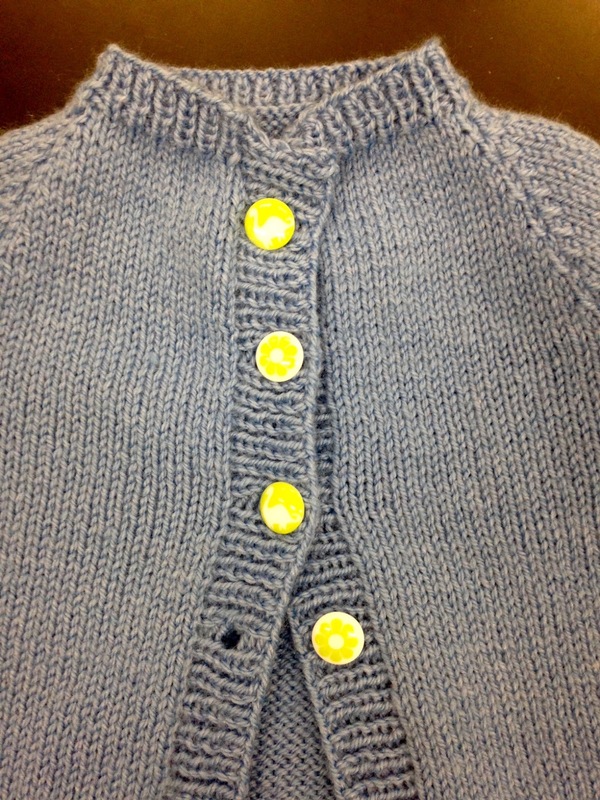 It's hard to tell, but I chose a set of buttons on which two feature a flower and two feature an apatosaurus. For more details, you can check out Ravelry. 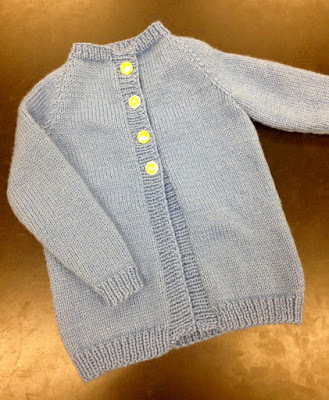 #2: When I bought the dinosaur/flower buttons, I also picked up a set of three tiny elephant buttons on a whim, and enough time elapsed between the baby shower and the birth that I just had to knit something else. Serendipitously, I was close enough to done with a sweater in the same color, and I knew I was going to have at least one skein leftover. 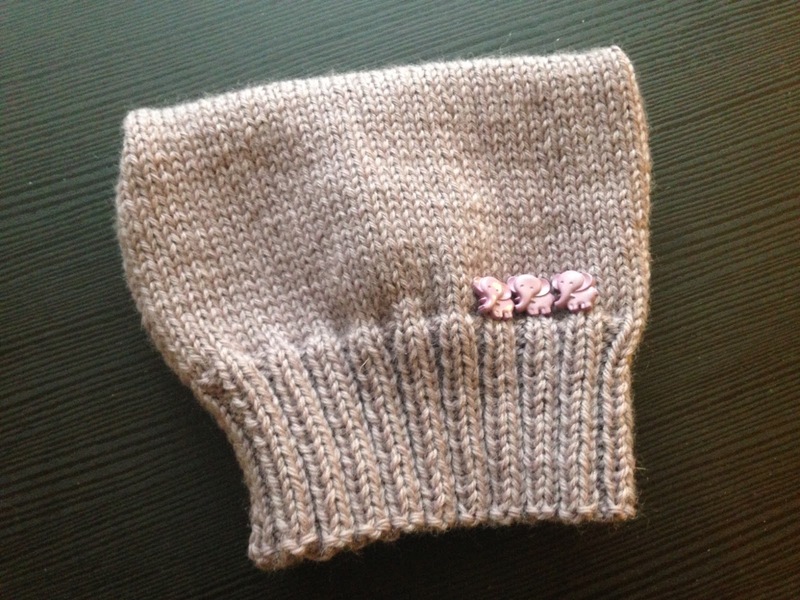 These buttons were just too cute to resist, so I whipped up a little hat to showcase them. Find the details on Ravelry. #3: When the guy I'm dating jokingly (kinda) expressed envy of the infant recipient of the above knitting endeavors, I knew I wanted to surprise him with something handmade, too. The idea for this hat popped into my head, and I ran out to get the yarn. I wanted black with purple stripes, and I wanted a yarn that would look and feel nice without any "fussy" care instructions. 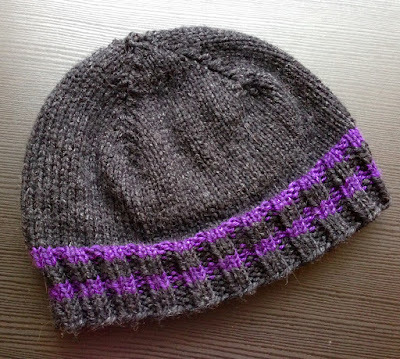 Turn a Square from Jared Flood is my go-to pattern for man-hats. If you want to make one of your own, you can head over to Ravelry for the full scoop.